DiCaprio's the Devil, But Who Will Star as Burnham and FLO? - Archpaper.com DiCaprio's the Devil, But Who Will Star as Burnham and FLO? Chicago has been getting a lot of screentime over the last few years, standing in for Gothman in Batman Begins and enduring the wrath of the Transformers. 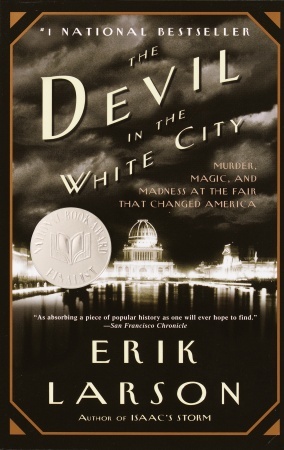 A blockbuster of a slightly more highbrow sort is in the works, with an adaptation of Erik Larson’s bestseller The Devil in the White City. The Sun-Times and others reported this week that Leonardo DiCaprio will portray the serial killer H.H. Holmes. The story is set amid the preparations for 1893 World’s Columbian Exhibition, and the story of construction of the fair grounds, one of the major developments in the City Beautiful movement, as well as the growth of Chicago as a whole, forms a parallel narrative. Daniel Burnham and Frederick Law Olmsted play major parts in the story. Their roles have yet to be cast. Whoever lands the roles had better start growing their facial hair now. 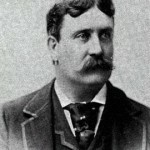 Burnham sported an impressive, bushy mustache. Architecture fan and patron Brad Pitt has been growing some questionable whiskers over the last year, but maybe those hooded eyes are more Clooney-esque? 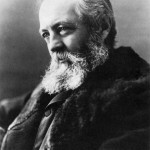 Burnham had nothing on the older Olmsted though. Check out that beard! Who has the chops for that? Jeff Bridges, anyone?